Moment is announcing a refreshed telephoto lens for $99, designed to take better photos on the iPhone XS, XR, and Pixel 3. You can also attach the 58mm zoom lens to any Galaxy, iPhone, or Pixel phone to get those up-close results. 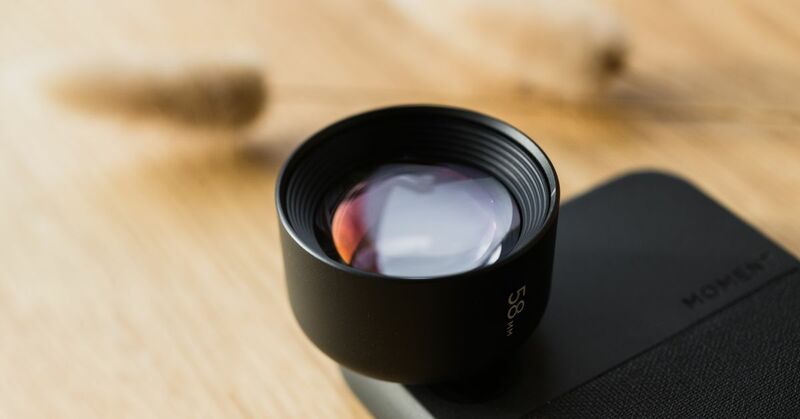 The phone photography company has some of the best mobile lenses you can find, and are releasing this new lens as a follow-up to their first tele lens. The new lens’s benefits include a sharper, brighter image with 2x zoom (100mm zoom lens equivalent) and 4x zoom modes (200mm zoom lens equivalent ) within the Moment camera app, despite the shorter 58mm focal length compared to 60mm on the original tele lens. Also, there’s been a $10 price increase over the last-gen lens. This telephoto lens is also designed to be relatively lightweight at 73.1 grams; after all, you don’t want too heavy of a lens on your phone. In both single and dual lens modes, you can get 2x to 4x crop-in zoom, with performance similar to an optical lens like you would see on a DSLR or mirrorless camera. Moment is all too aware of Google and Apple’s subject photography chops, so this new 58mm lens is also supposed to feature optimizations for the iPhone XR and Google Pixel 3’s portrait modes for an enhanced bokeh effect and added sharpness. Personally, I find the zoom lens on the iPhone XS and the computational zoom of my Pixel 3 XL to be enough for most scenarios. Still, I’m curious to see just how sharp and detailed the zoomed-in image from Moment’s new lens might be.